How to Play MP4 on Xbox 360? Microsoft Xbox 360 is great not only for playing games but also for playing movies. The Xbox 360 console supports movies in most formats like AVI, WMV, MP4, H.264, MOV, M4V. However, though MP4 is claimed to be supported by Xbox 360, due to various codec issue, some MP4 video files will not play on Xbox 360. Xbox 360 can play MP4 video files with extension of .mp4 or .mov with video codec of MPEG-4 AVC H.264 and MPEG-4. Audio profiles: AAC, 2-channel, Low Complexity. Some MP4 files downloaded from internet or ripped from DVD/Blu Ray disc by certain DVD Ripping software uses AAC with 6-channel (5.1 sorround sound). When trying to add such MP4 to Xbox 360, system will says “No videos found”. Even the MP4 files can be transfered to Xbox 360, When playing on Xbox 360, you only get video with no audio. Such MP4 files with 6-channel audio will need to convert to MP4 or MOV with AAC stereo (2-channel) or convert to WMV with stereo or 5.1 sorround sound if you care about the audio quality. Some MP4 files cannot be played on MP4 due to codec issue. For example, if the MP4 uses MPEG-4 ASP format,it will be difficulity to transferr such MP4 files to Xbox 360. You may try to change the extension name from .mp4 to .wmv but we cannot ensure this action can solve the MP4 playback problem. The recommend solution is still to convert your MP4 files to WMV or MP4 which can help you fast and easily transfer MP4 files to Xbox 360 for successful play. As we all know Windows Movie Maker only exports movies to WMV; you can change the resolution and the dimensions of the movies you export, but all the videos you export will be to WMV. There are no other options to export MSWMM project file to AVI, MP4, MOV, MP3, FLV, 3GP, WebM, etc. with Windows Movie Maker. 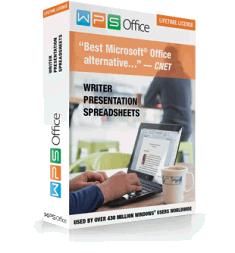 .wlmp file is a movie project file created by Microsoft Windows Live Movie Maker. It may contain movie transitions, music, and effects as well as links to digital photos or videos. WLMP file is not valid video file and cannot opened and played by any media players like VLC, QuickTime, VLC, iPod, iPad, iPhone and cannot upload to YouTube, Facebook for sharing. Is there no way to play and open WLMP project file? Is it possible to convert WLMP file to video like AVI, WMV, MP4, MPG, WebM, FLV, 3GP or convert WLMP file to audio like MP3? In fact, it’s dead easy following the detailed guide below to solve all the headache and time-consuming issues. Windows Live Movie Maker is a free Movie Maker offered by Microsoft on Windows 7. It’s never too easier to create and share your own movies. To better enhance videos, sometimes we need to put YouTube to Windows Live Movie Maker. To edit YouTube videos in Windows Movie Maker, you need to download the video from YouTube then convert the downloaded YouTube Video (usually in FLV, MP4 or WebM format) to a video format supported by Windows Movie Maker (like WMV) or audio format (like MP3). This article guides you step-by-step to download and convert YouTube to Windows Live Movie Maker supported WMV or MP3 in one step. Aiseesoft MXF Converter for Mac, works as professional MXF Converter can convert MXF files to MP4, MOV, Final Cut Pro supported Apple ProRes MOV or DV, iMovie or iDVD supported MP4, AVI, WMV, MPEG-2, MKV, FLV, 3GP and more on Mountain Lion. In addition to convert MXF files, the MXF Conversion tool can also edit MXF files like trim, crop, merge, add water mark, and keep metadata and more. Aiseesoft MXF Converter for Mac Mountain Lion is good at converting MXF recordings shot by Panasonic P2 camcorders, Canon XF series cameras like Canon XF305/XF3, Panasonic P2 502, HVX200 or HPX300, Sony XDCAM to formats compatible with your video editing software like iMovie, Final Cut Pro (X), Final Cut Express, Avid Media Composer, Adobe Premiere, and more. Beijing (Techisky News) August 24, 2012 – Bigasoft, the world’s leading multimedia software provider for Mac OS X, today released update version for its YouTube Downloader Pro for Mac to fully support OS X 10.8 Mountain Lion. As the professional AVCHD to ProRes Converter for Windows, Bigasoft Total Video Converter can easily convert all kinds of AVCHD files in M2T, M2TS, and MTS to Apple ProRes MOV in fast speed. Besides converting AVCHD to ProRes, it also can convert other video formats including AVI, MP4, WMV, FLV, MKV, MPG, MOD, TOD, WebM, WTV, VOB, MVI, MXF and etc to ProRes for easy import to professional editing program like Avid, Sony Vegas, Final Cut Pro for edit. Bigasoft Total Video Converter can convert AVCHD files .mts, .m2ts, .m2t to Propes 4444/422 MOV, HD MOV, H.264 MOV from AVCHD videos recorded from Sony HXR-NX5U/HDR-AX2000/HDR-SR10/HDR-XR105E/HDR-CX560/DCR-DVD908E/DCR-SR60E/DCR-SR82E/DCR-SR300E or AVCHD videos recorded from Panasonic DMC-GH2/Panasonic AF-100/Panasonic HDC-SD900/AG-HSC1UP/HDC-TM900/HDC-HS900/Lumix DMC or AVCHD videos recorded from Canon Vixia HF/HF10/HF100/HFS200/HFS10/HG10/HG-21 or AVCHD videos recorded from JVC Everio GZ-HD320/GZ-HM400/HDD/GY-HM100U AVCDH. Though iTunes 10 can currently read, write and convert between MP3, AIFF, WAV, MPEG-4, AAC (.m4a) and Apple Lossless, there is limited to play Ogg files. When you try to add Ogg to iTunes, iTunes even not allow to add Ogg, let alone to play Ogg in iTunes. To play OGG in iTunes on Mac, a popular solution is to install Xiph QuickTime Components, a free plugin for adding and play OGG to iTunes (you cannot transfer OGG to iPod, iPad, iPhone or any other Apple devices or programs). To get this plugin work in Lion, iTunes startup need to be set to 32bit. The plugin is not tested yet whether it works on Mountain Lion or not. Although most of Canon VIXIA HF series Cameras are on the list of iMovie ’11 Supported Cameras, there is still difficulty in importing Canon VIXIA HF series Cameras AVCHD MTS movie to iMovie. Eventhough you are able to import Canon VIXIA HF to iMovie, you will find images appear distorted or jittery playback during playing. So far for Mac users, the ideal solution to import Canon VIXIA HF AVCHD MTS to iMovie is to convert the AVCHD MTS to 1080p MP4 or 720p MP4 or 480p MP4 to edit with iMovie to enhance the recorded video. The article introduces a powerful iMovie Converter and provide a step by step guide on how to import Canon VIXIA HF series to iMovie with almost no loss of video and tone quality. This guide is applied to import most of the popular HD models of Canon VIXIA series, including the latest VIXIA HF M40, VIXIA HF M50, VIXIA HF S11, VIXIA HF S10, VIXIA HF S100, VIXIA HF20, VIXIA HF200, VIXIA HG21, VIXIA HG20, VIXIA HF M31, to iMovie ’11, iMovie HD on Mac OS X Tiger, Leopard, Snow Leopard, OS X Lion, and Mountain Lion. Bigasoft YouTube Downloader for Mac provides you with the easiest method to download YouTube videos in HD (high-definition 720p, 1080p, and 2k), ultra high definition (4K), 3D video and stand definition for Mac users. With Bigasoft YouTube Downloader for Mac , you may also download video from popular video sites like Facebook, Google Videos, BBC, Dailymotion, etc in batch and convert the downloaded video for enjoy on iPad, iPod, PSP and many other portable devices anytime at will.